This new Android-powered ZX2 Walkman is for serious audiophiles only. Sony’s pushing the device as a high-resolution sound machine, and it’s set a price to match. $1,119.99 seems a bit much for a portable music player, but I really can’t seem to stop wanting one. The design is gorgeous, with a black matte finish and glorious actual buttons that just beg me to touch it. The Walkman brand was the one to beat back in the 1980s, with a plethora of portable cassette players in Sony’s line-up, a dominance that only ended sometime in the late 1990s after the advent of the CD and mini disk as the better audio reproduction. “The NW- ZX2 supports digital music files up to 192 kHz/24 bit and compatible file formats are MP3, WMA, AAC, FLAC, AIFF, WAV and ALAC including DSD,” writes Sony in a press release. Hell, it even has Wi-Fi built in for some reason. You’ll of course need some fantastic headphones or speakers to take full advantage of this kind of sound reproduction, but Sony makes a few of those, as well. 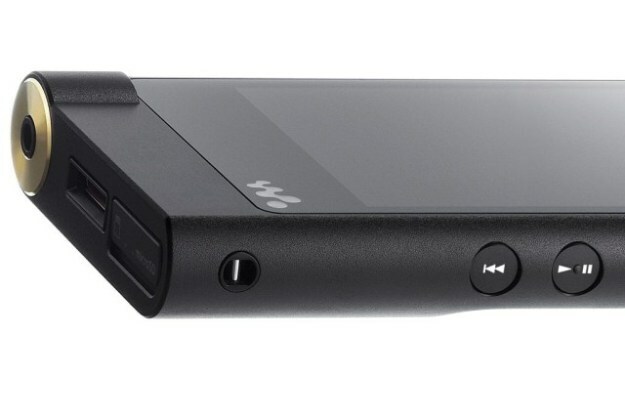 The new Walkman ZX2 should be out this coming Spring, and I cannot wait to get my hot little hands on it, regardless of price.